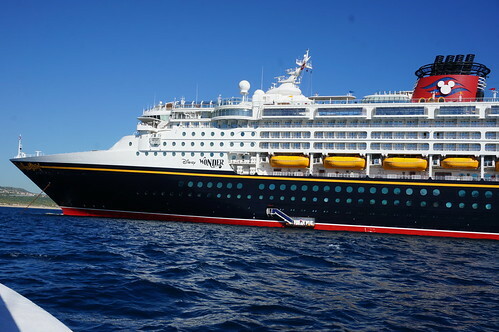 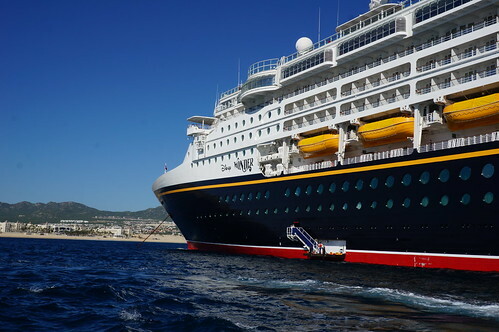 After our port adventure in Cabo San Lucas, we rode on the tender back to the Disney Wonder. 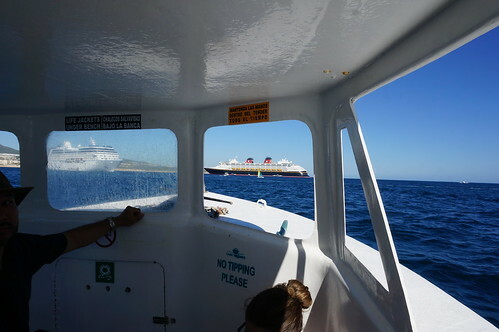 The ship was anchored in the Bay of Cabo San Lucas. 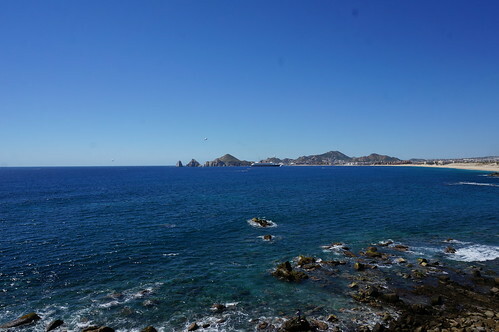 Thie picture was taken from Sunset Monalisa that overlooks the Bay of Cabo San Lucas. 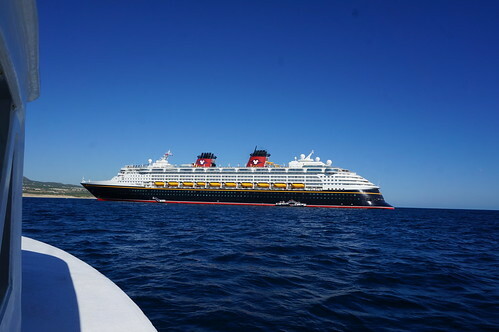 The Disney Wonder anchored in the Bay of Cabo San Lucas during our stop there. 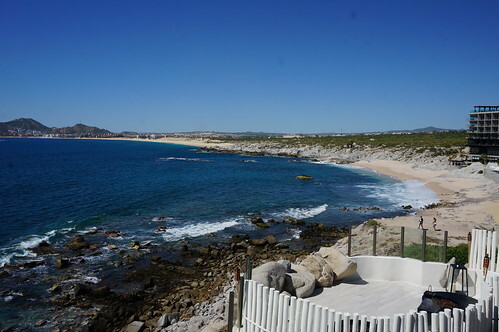 Thie picture was taken from Sunset Monalisa that overlooks the Bay of Cabo San Lucas. 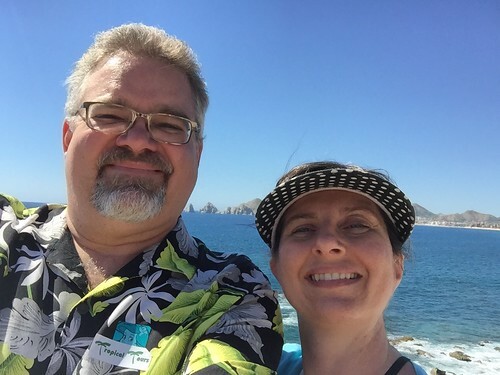 Overlooking the bay of Cabo San Lucas. 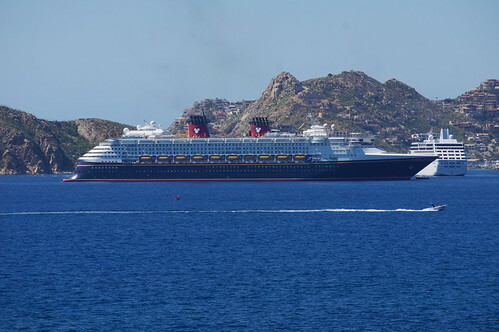 The Disney Wonder anchored in the Bay of Cabo San Lucas during our stop there. 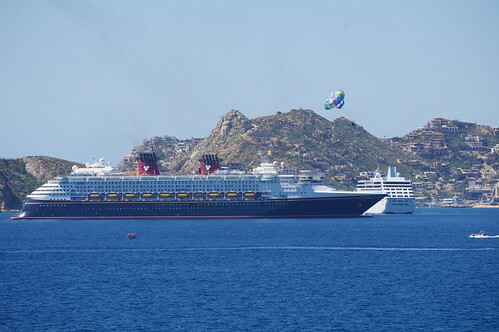 This picture was taken from Sunset Monalisa that overlooks the Bay of Cabo San Lucas. 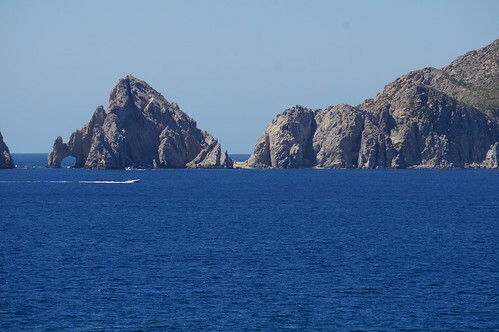 The arch of Cabo San Lucas is a distinctive rock formation at the southern tip of Cabo San Lucas, which is itself the extreme southern end of Mexico's Baja California Peninsula. 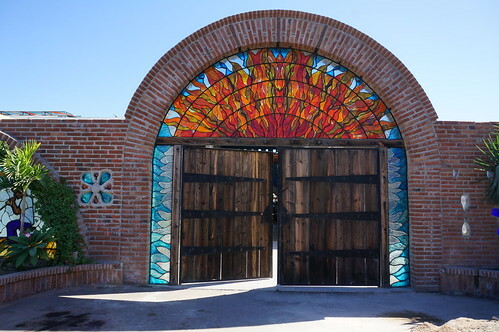 The arch is locally known as El Arco. 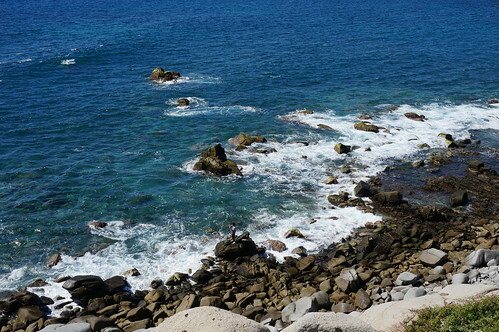 It is here that the Pacific Ocean becomes the Gulf of California. 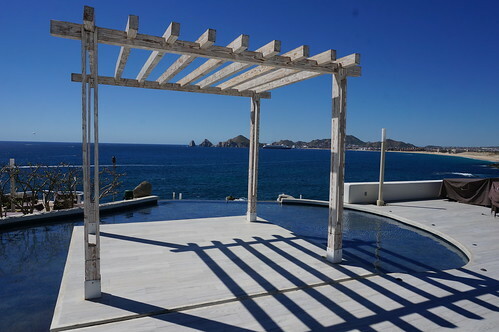 This picture was taken from Sunset Monalisa that overlooks the Bay of Cabo San Lucas. 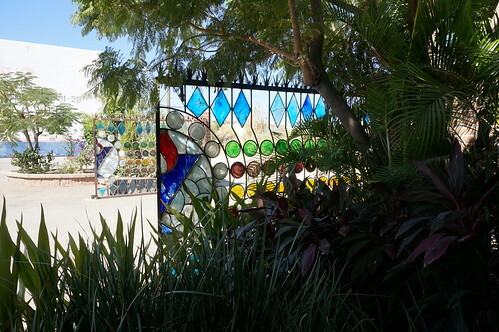 The first stop on our Coastal Highlights port adventure in Cabo San Lucas was a visit to the Glass Factory. 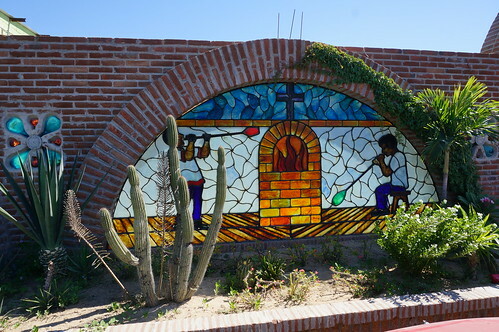 We watched a team of glassblowers create a "Mexican Turtle" - a turtle with a small sombrero and a drink - and a glass flower. 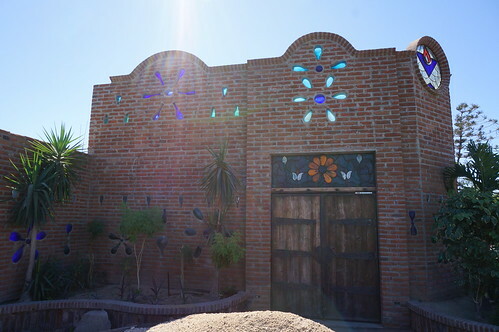 The Glass Factory, located out on the bypass road to Todos Santos, was originally started to meet the demands of local hotels and restaurants. 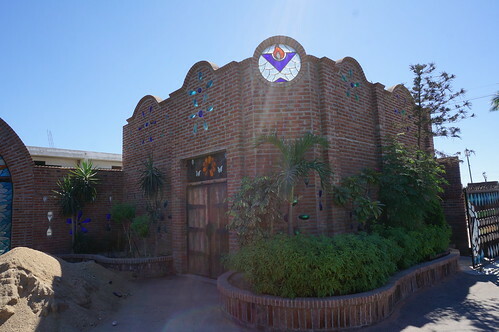 Today the foundry employs over 30 artisans who produce close to 500 one-of-a-kind pieces daily. 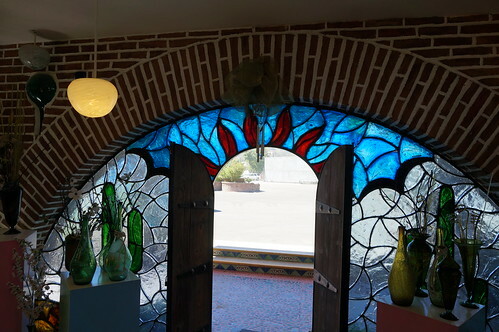 Using recycled, lead-free glass, the maestros create custom orders for hotels, restaurants and retail shops as well as original pieces for groups and individual buyers. 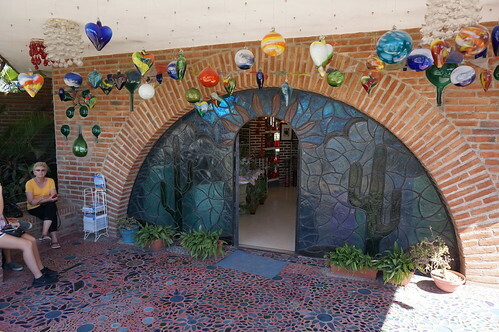 You can learn more about the Glass Factory at their website: www.glassfactory.com.mx/site/en/about-us.